A watercolor landscape on Yupo from 2017, Christy Sheeler artist. 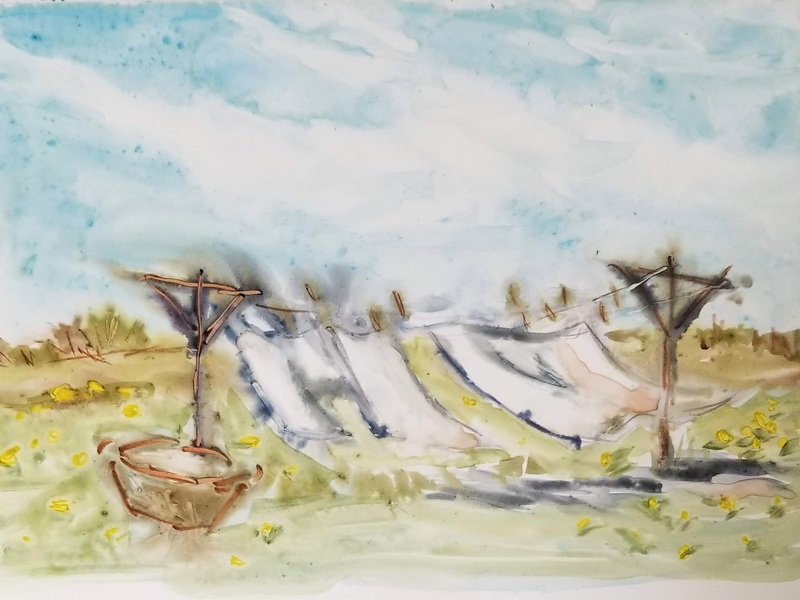 Watercolor landscapes on Yupo paper January 2019 by Christy Sheeler artist. Rubbing alcohol prep is key. 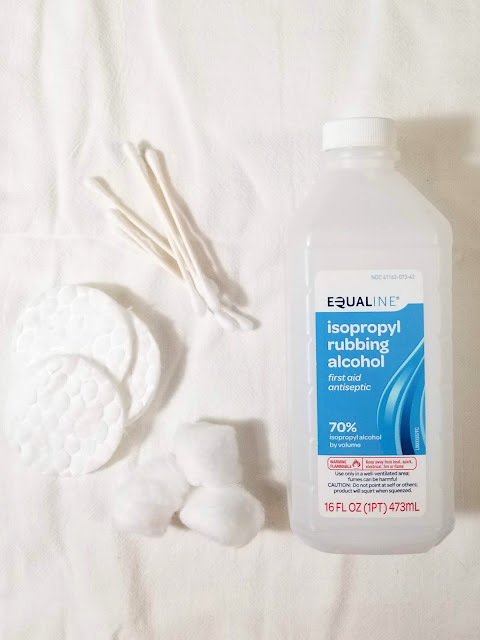 The tip about wiping the surface well with rubbing alcohol before you begin...that's a key step NOT to skip. 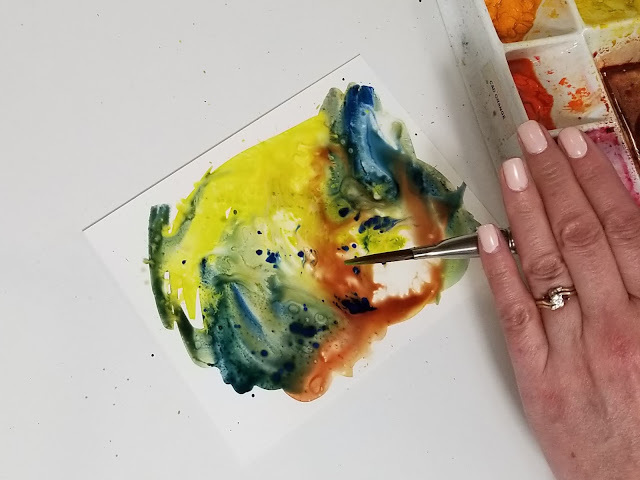 This surface will hold oils from your hands and act as a resist; it is possible to scrub the surface with a damp paintbrush to work the oils loose but not easy. Take a cotton ball or round and get it wet with rubbing alcohol. Use a piece of paper towel in the hand that is touching the Yupo. 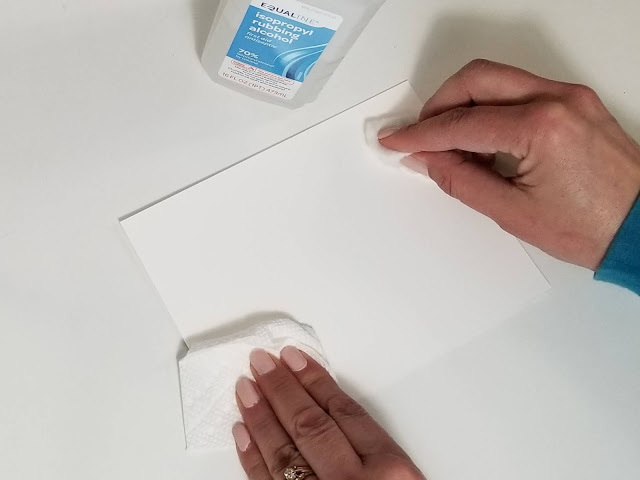 Give the sheet of Yupo a nice cleaning, giving extra attention to the outside 1/2" where your fingertips might have left oils. Let it air dry. You're ready to paint! Watercolor pigment is all new on Yupo. Be ready for a new feel and appearance in the way watercolor performs on this surface. It's all together different. I describe it as a batik-like effect because the edges are very defined. It's beautiful in its own way. You'll see in my photos that it's not like my watercolors painted on watercolor paper. Here are a few photos with some suggestions. Painting on Yupo paper with watercolors. Pushing paint around and creating white areas with a damp brush. Wiping back watercolor with a cotton swab to create white areas. 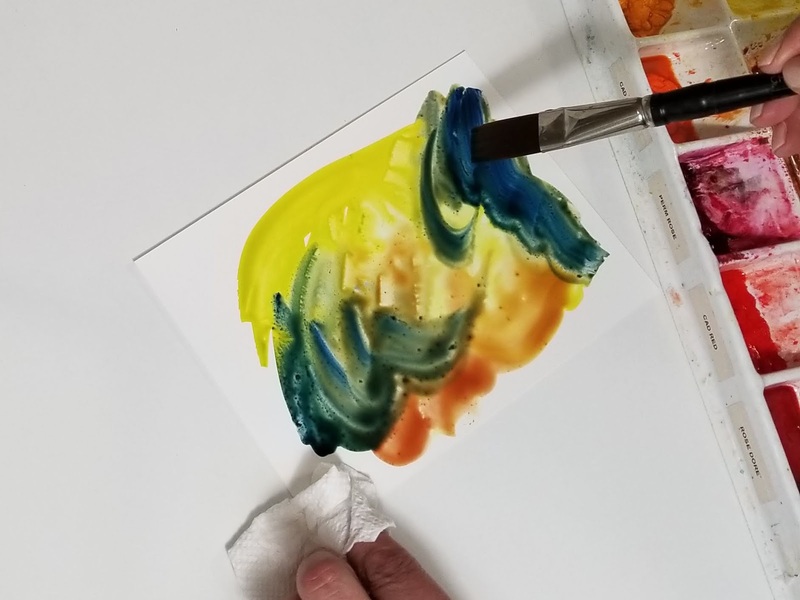 Spattering ultramarine blue into wet watercolor on Yupo paper. Gently scraping out whites with a palette knife. The beautiful effects of watercolor on Yupo paper. Work in stages and layers. When I am painting a landscape on Yupo, I begin by blocking in the sky and landforms...the background, middle ground and foreground. 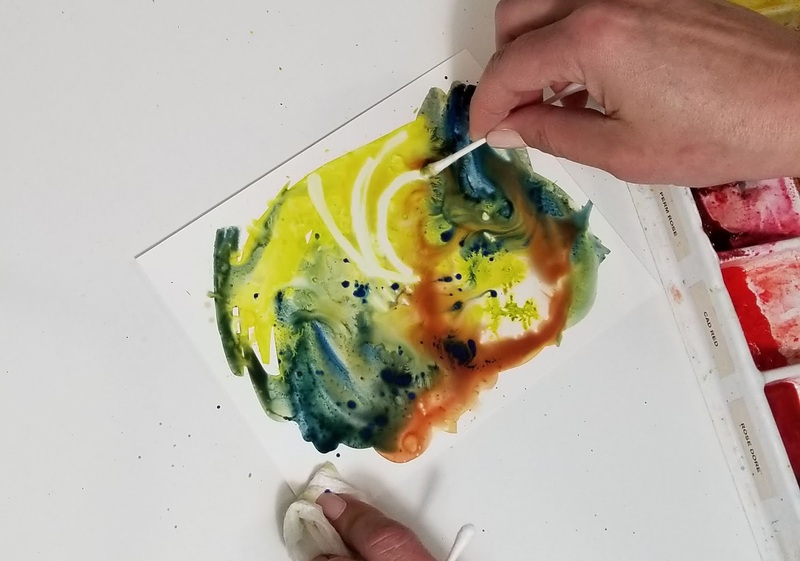 It will take some experience to understand how much pigment to water is your comfort zone. It will take a good amount of time...hours for the surface to air dry. Avoid the hair dryer. Or don't...it's an adventure, right? Maybe set that one aside and play with brushes and pigment on another sheet. 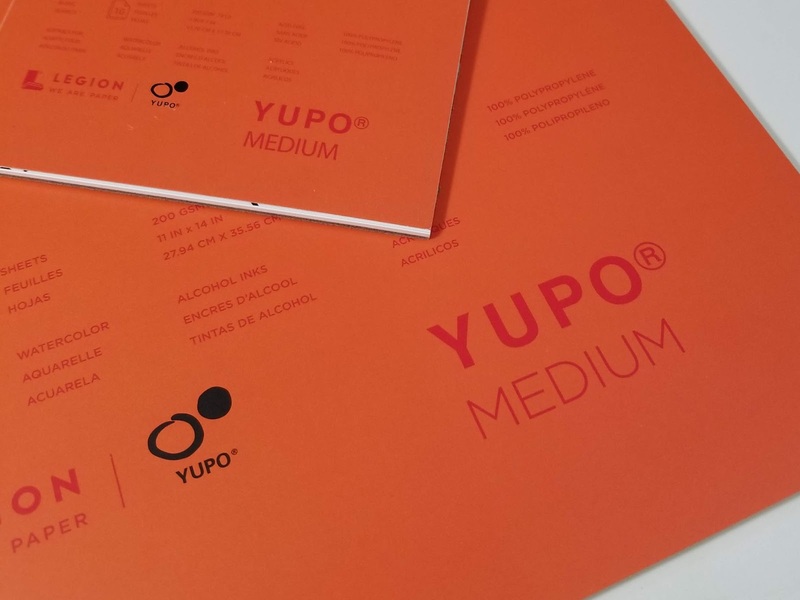 I find more control and better results with laying my sheet of Yupo flat on the work surface. It's harder to work with it at an angle. I enjoy bringing back the white of the surface by rewetting the specific areas and wiping out with a cotton swab. As I work in more details and dark areas, I vary the pigment/water combination to be thicker like ink. 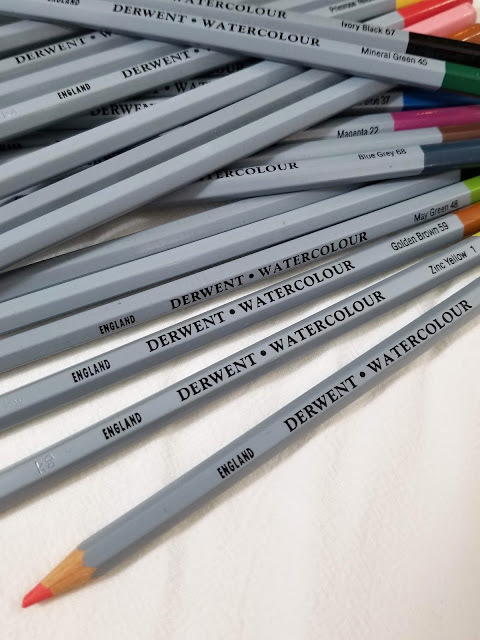 Dip a watercolor pencil in water and draw in details. 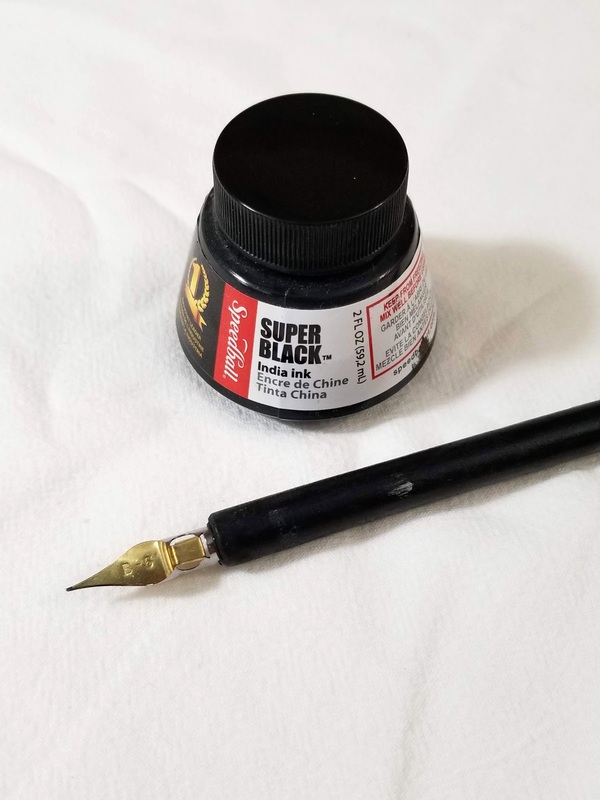 Use an ink pen and add details with India ink. Try all the options to learn what will happen. Keep what you like. Ditch what you don't. India ink and pen with nib. Watercolor pencils work well on Yupo paper. 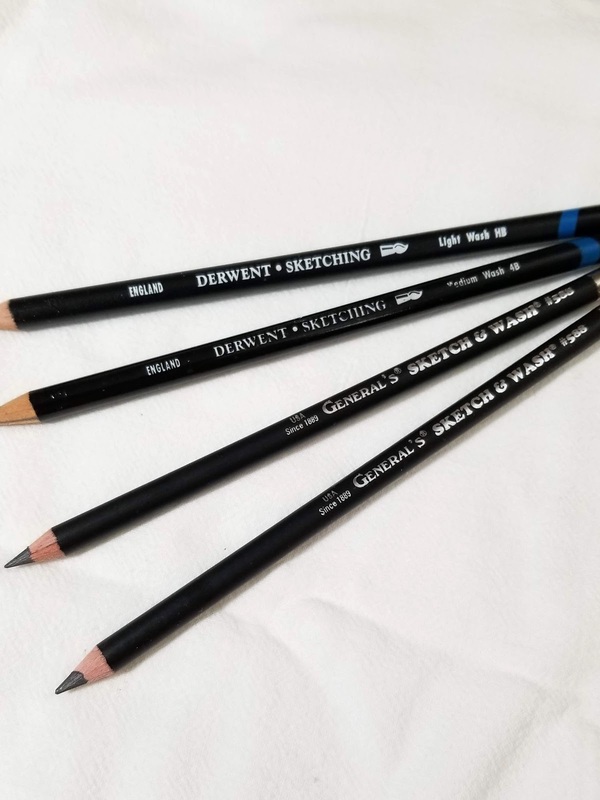 Use water soluble graphite pencils on Yupo to eliminate need of erasing. Once the base layers have dried from my first session, I can go back in and work more detail and form into the artwork. You'll find that the more you fuss with an area, you'll lift back what was painted in the first layer. Don't stress too much. You need this time learning what to expect. You are allowing yourself the opportunity to know and understand this surface better. Frustrated and not enjoying yourself? Put it away. Try again another time. There's no pressure to learn this now. Maybe switch gears and focus on another project. Allow yourself time to process what you've just learned from this time painting on Yupo. 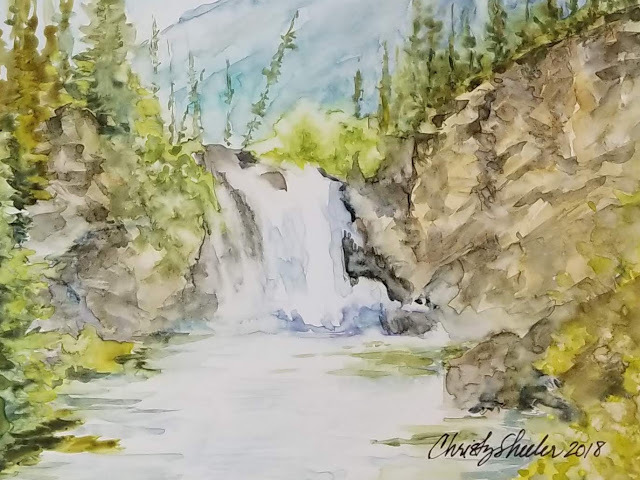 This is a major change from what watercolor artists traditionally know and experience in the creative process. 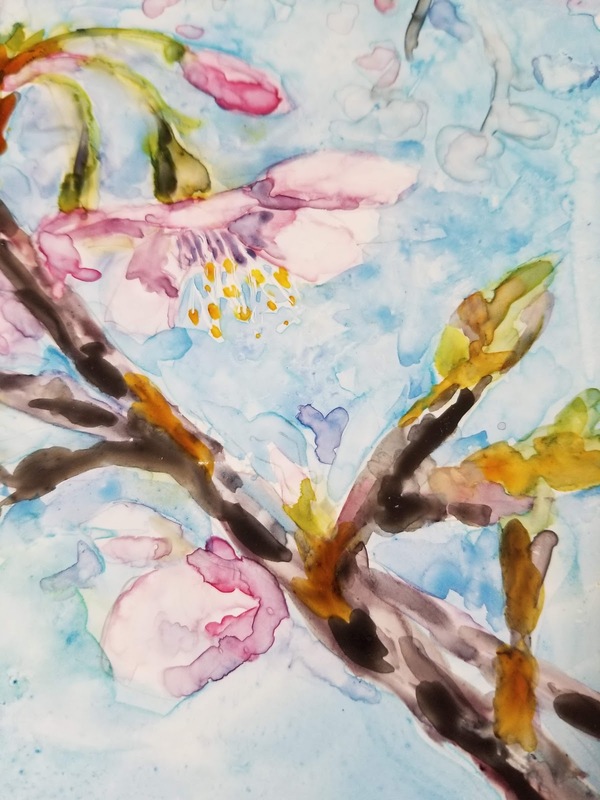 Close up view of cherry blossoms in watercolor on Yupo paper by Christy Sheeler 2016. Cherry blossoms in watercolor on Yupo paper by Christy Sheeler 2016. It's okay to wash it away. 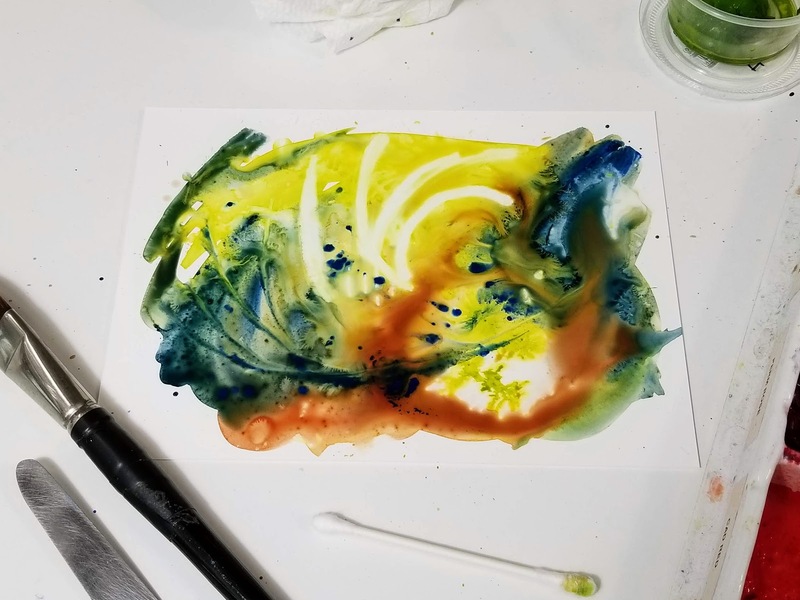 What if you just don't like what you painted? Go rinse it all away. Take that sheet of Yupo to the sink and rinse it all off...begin again. 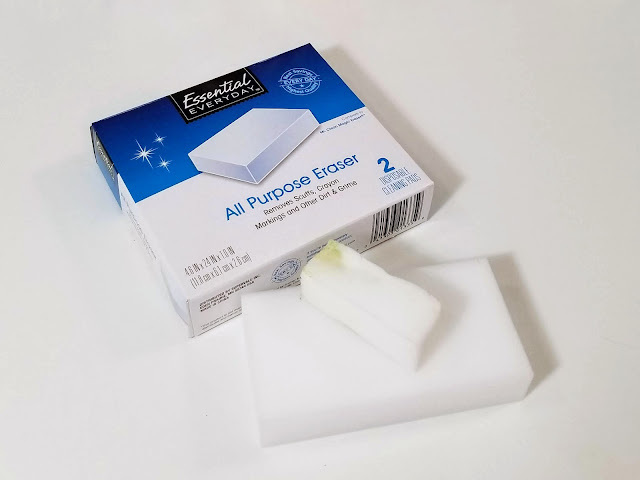 If you should see any staining, grab a magic eraser and remove the remaining color. Now you can just reuse this one sheet to your heart's desire. No guilt. No fear. Start again and learn something new. Find your courage and explore. Can you find your inner adventurer? 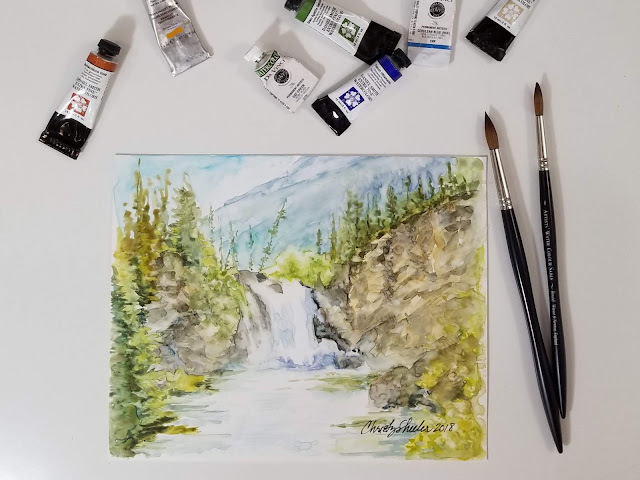 Is there a part of you that wants to add something new to your watercolor technique experience? Does it tempt you, knowing so many will never give it a go? Landscape of a mountain waterfall in watercolor on Yupo by Christy Sheeler 2018. Yupo can be used for planning and warming up. 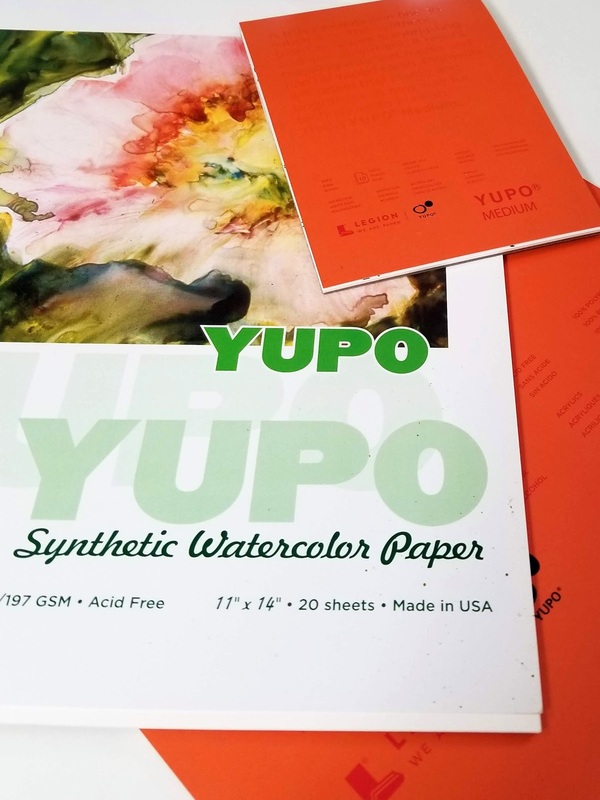 Value studies, color studies, and composition planning would be a great way to integrate Yupo into your creative process. 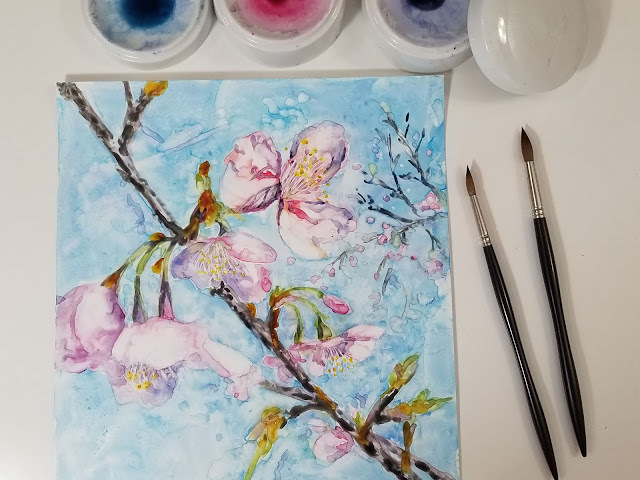 You might feel more comfortable painting on watercolor papers, even after exploring Yupo. 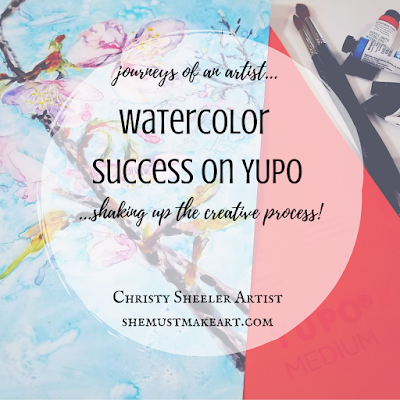 What about using Yupo as a quick way to plan out your next watercolor painting? This is what I tried recently. 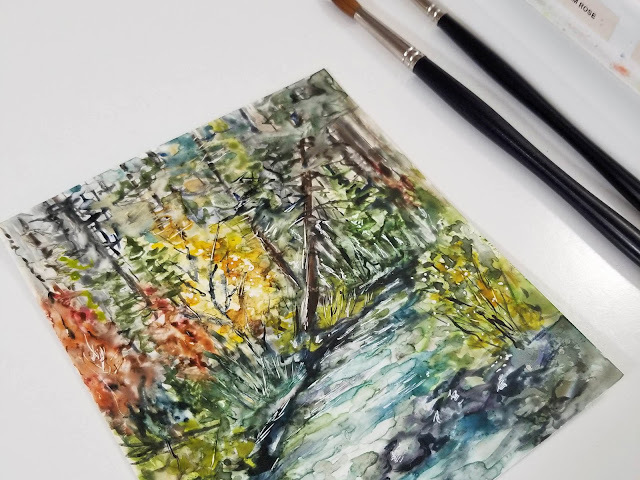 I am thinking about adding a small watercolor artwork to my bathroom and my laundry room. I have in mind what subjects for my focus. I want to explore my options with basic color combinations. With a quick Yupo watercolor sketch of each, I am ready to move on to creating my artworks in my usual methods on watercolor paper. I would also suggest that warming up at the beginning of a creative session could be done on Yupo. 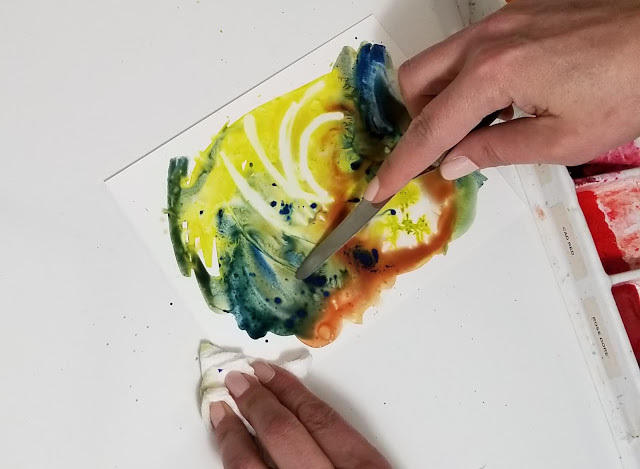 Once you feel yourself relaxed and "in the zone" for creating, move your freer creative energy from Yupo to watercolor paper. Watercolor quick study of a Maui beach on Yupo paper. 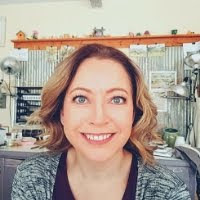 Christy Sheeler 2019. Questions? Comment below and I'll give more tips! Maybe you have more questions. Maybe you need a friendly nudge to keep trying. Are you still holding back and need encouragement? I'm ready to explain more. You say the word. Something tells me that the majority of watercolor creatives will be pleasantly surprised. YouTube will add more understanding. While I have not created a video about Yupo, there are numerous videos available. 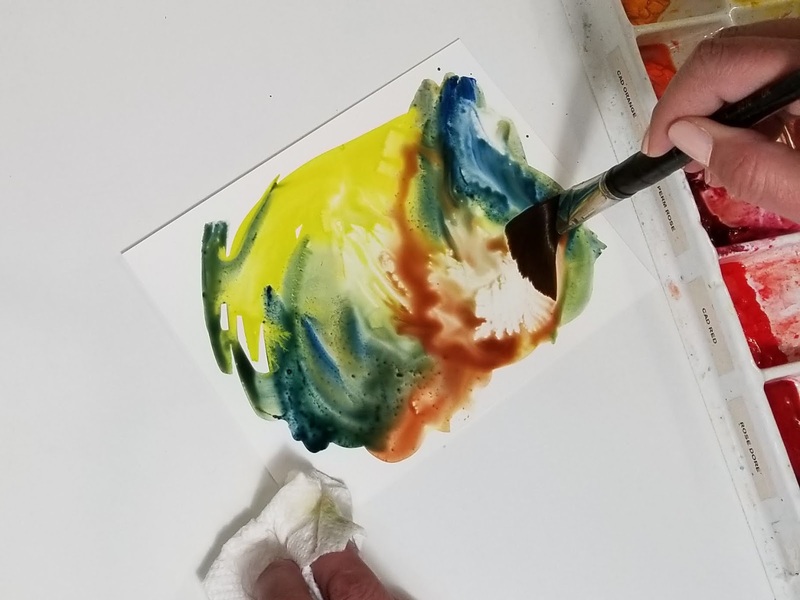 Search for "Yupo watercolor painting" and you'll find some great demonstrations and reviews. The Mind of Watercolor, hosted by Steve Mitchell is one of my favorite YouTube accounts to follow. Steve recently posted a video about Yupo. I enjoyed watching and you might also. 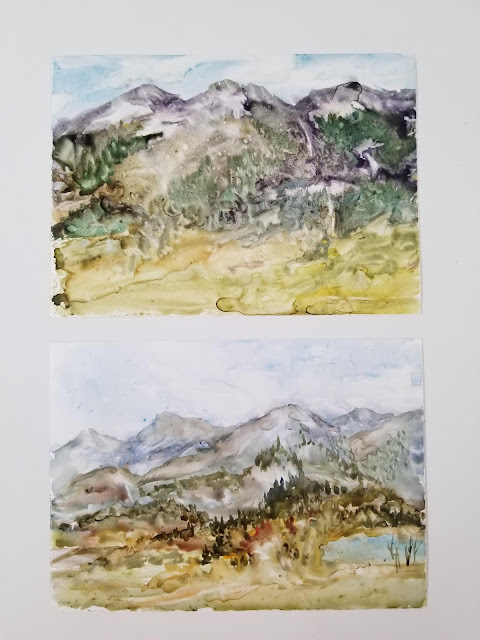 Playing with YUPO and a Watercolor Landscape Demo is linked here. 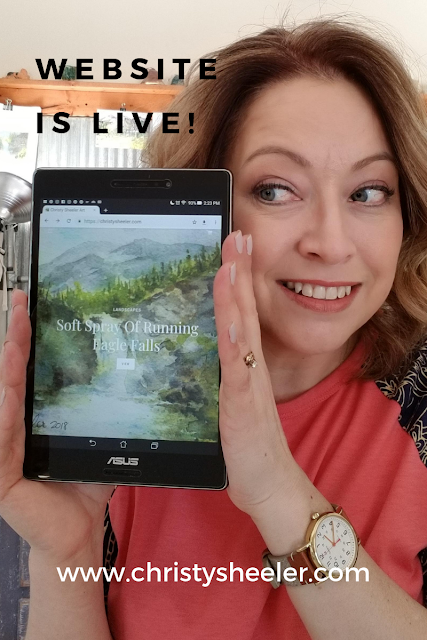 Information from Cheap Joe's Art Stuff website with more information including sealing paintings on Yupo. Taylor Ikin gives helpful information that I might have missed. She lists the specific protective spray for sealing work on Yupo. Okay, so that's all I'm going to write on this for now. I know there's more great help all over the Internet. 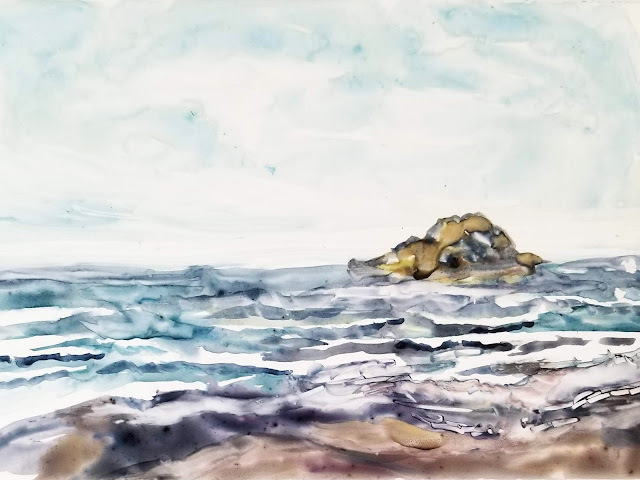 Search "watercolor painting on Yupo" and you'll wonder where the day went. If you do have a question, please ask. Comment below and I'm glad to do my best to add more where I may have skipped over too quickly.